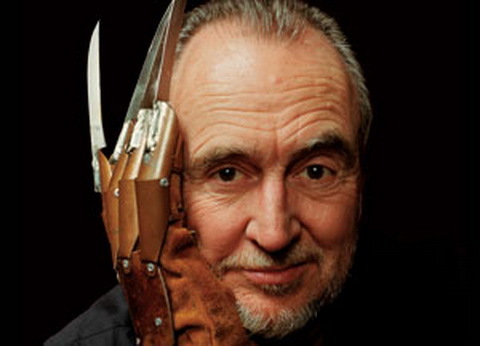 In his life, Wes Craven directed less than a handful of movies that would not be considered horror. For the majority of his life and artistic output, he was most interested in scaring audiences. And because of that determination, I don’t think there’s hardly any adult over the age of 25 or so that hasn’t had at least one nightmare featuring Freddy Krueger in it. Wes Craven has transcended films and traditional fears and has literally created something that has scared us while we dream. That’s a hell of a legacy to leave behind. Wes Craven died on August 30, 2015 at the age of 76. The origin of Freddy Krueger from Craven is mixed, evolving with different interviews. The inherent fear, according to him, is from his father. Or a bully from grade school. Or the true story of teenagers literally being scared to death in their sleep. Freddy embodies all of those things, and what makes A Nightmare on Elm Street such a timeless work is that it captures all of those fears. Your most personal, deepest secret of a fear can be given a face and your psyche explored, the darkness of your mind being the playground in which anything is possible. At the end, instead of any sort of redemption waiting for having those fears exposed, is death. From The Last House on the Left to The Hills Have Eyes to A Nightmare on Elm Street all the way up to The People Under the Stairs and Scream, Wes Craven was a goddamned legend. He was a highly literate workman of a filmmaker, churning out films on genuinely lower budgets that most usually made a profit for the studios, because there was always something worthwhile. Even in a bizarre, odd failure of a movie like Shocker, there was an interesting twist on the slasher genre, having the killer jump from physical entity to abstract absurdity, sort of like a psychedelic version of The Hidden. Wes Craven was the sort of director who had so many movies under his belt that his other works sort of benefited to falling into obscurity. Because his films were always well made and contained a professionalism and commitment to story (Last House on the Left is an exploitation flick borrowing from Ingmar Bergman, for god’s sake), seeing an unknown Wes Craven movie on a lazy Saturday afternoon would be a treat. To see something like Deadly Friend without any prior knowledge would make for an entertaining couple of hours. Horror movies, to me, have always been a strange comfort, because in a horror movie anything is possible. The films exists in a world where romance and adventure are as equally plausible as a vampire or werewolf wrestling with their souls and salvation. Wes Craven was always a master of the genre and was always honed in on the craft, able to make something deeply personal to himself and horrifying to millions of fans, without ever alienating anyone. His films were a way of saying, “This is what scares me. Do you want to see?” And the output contained an honestly and a sincerity that only horror movies can have. It’s a way about being honest with your own insecurities and, instead of being paralyzed by them, giving them some sort of release. Instead of fearing the darkness, to walk in and let it swallow you whole and see what happens on the other end. The first time I saw A Nightmare on Elm Street was on TV when I was a kid and I remembered it being so beyond terrifying that trying to put words to how I felt would be silly. It was scarier than anything I could imagine, and now the name Wes Craven is synonymous with that feeling of intangible dread and fear. What a hell of a thing to be known for. What a life he lead.